So the kids backed up and waited until Charleigh gained the courage to run again. She jumped up, knowing she didn’t have to outrun the others for long—just long enough. Once around the playground, back into my arms, and repeat. Except one time, Charleigh didn’t make it back into my arms. One time, she didn’t quite run fast enough. One time, I watched her get tackled by one of her little friends. She was taking a beating, and even though they were all laughing and enjoying themselves, I knew it was only a matter of time before things got out of control and someone got injured. It was time to change the rules. I’ve been replaying that scene in my mind for weeks because, sometimes, I feel a lot like Charleigh. When life swells up all around me and I’m starting to feel overwhelmed, I just know that I’ve got to make it back to God’s arms and it will all be okay. He holds me close as I catch my breath and my heart rate returns to normal. He soothes me and comforts me, stroking my hair, sheltering me from all those things that threaten to consume me. Because He’s base, remember? And nothing can touch me as long as I’m in His arms. Then I’m off again to repeat the same pattern. Only sometimes, like Charleigh, I don’t quite make it back in time. Sometimes I find that life overwhelms me and I’m lying facedown in the dirt. And just when I think I’ll never get back up, the rules change. The base moves. But sometimes… Sometimes we’re in too deep. Sometimes it hurts too much to crawl. Sometimes we can’t quite make it back on our own. And that’s when the rules change. That’s when God stands to His feet and pushes our struggles out of the way until there’s nothing left but Him and us. That’s when we’re safe again. So if life is beating you down, just turn around and see that He’s standing there, arms outstretched, waiting for you to fall into the warmth of His embrace. Waiting for you to let Him set things right. Because He’s base, remember? 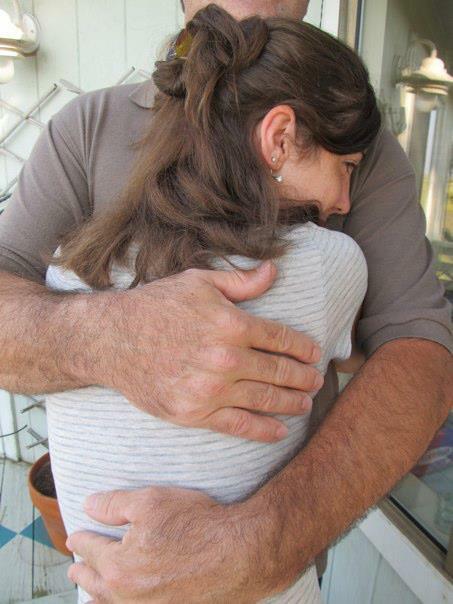 And nothing can touch you as long as you’re in His arms. This is so sweet… And so true!